Janette Powell is British businesswoman from Guernsey in the Channel Islands. She came with her partner John to the Seychelles on a business trip in 2003. They decided to set up an office as a corporate service provider in the Seychelles, to offer international business and financial services. 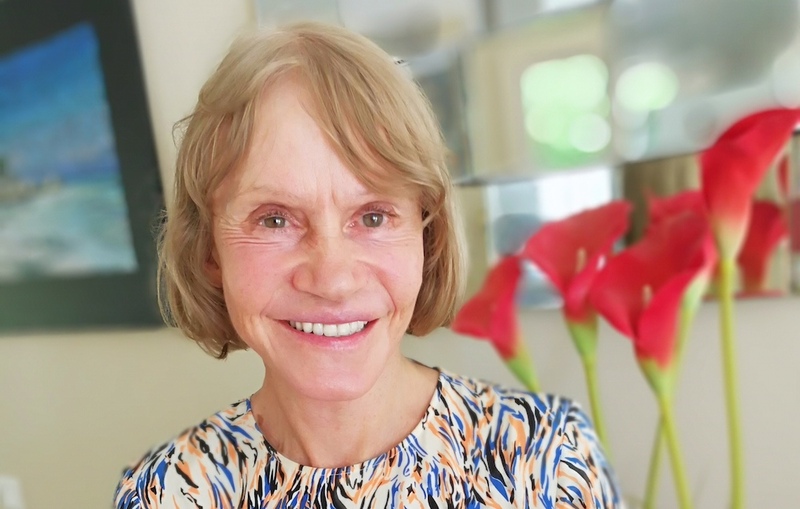 Janette Powell has made Seychelles her work base and she splits her time between Seychelles and the Channel Islands, travelling out of the Seychelles every 6 weeks, to meet with clients in the UK and the US. Previously she worked for five years in Saudi Arabia and has travelled a lot around the world for leisure. London is her favourite city, especially for shopping. As one of the first residents of Eden Island, she shares her experience and lifestyle. In 2003, we looked for property and I was not very happy with what we found on the main island, Mahe, and I am alone a lot, my partner comes back and forth to Seychelles. At first I stayed on Sainte Anne Island, which was wonderful. Then we saw the advert at the Eden island sales office in Victoria, and we went in and decided we liked the look of it, and certainly for me the security was the most attractive factor, I am on my own most of the time, and I want to be able to close it up and go away knowing it is secure, and I don’t rent out, so I enjoy a peace of mind on Eden Island. We purchased two apartments initially, one for us, and one for visiting relatives and friends, and we moved in and I was one of the first people to reside in on Eden Island, so I have watched all these changes, because then there wasn’t a beach you could swim off, and I used to kayak round to what is now Tec Tec beach and I could swim off there. The transformation has been phenomenal, it’s been really super be a part of it and to watch how it’s grown, how it has developed, particularly the coastline. I love it. There are actually three turtles off Bernetier beach and you see them almost every night, and there is a big one, and I have followed them all the way round into Bernetier this week [April]. We love it, I have always loved it, the only thing that was sad was the reef used to be fabulous and I saw last year it bleached [due the Indian Ocean warming phenomenon] and it has not recovered. There are small bits of coral growing back, and I snorkel and I swim every day. That’s why I love it here, when I finish work, I need to go in the sea. I have an apartment now at Anse Bernik, so it is nice, as we moved to a different part of the island. I often snorkel from Bernetier to Bernik, you can see more when it is low tide. I do like it very much here. I have visited Mauritius a lot and have been to many other places, but I am very comfortable here, it safe and I just enjoy the life on the island. I am not one to want to go off partying, although the Seychelles is developing rapidly now, so I enjoy the peace and quiet. I just like the climate and the tropical vegetation. Although I lived in the Channel Islands and enjoyed the island life, I would not swim there, and I like swimming in the sea. The sea temperature is good for swimming all year round in Seychelles, and the weather is better, but I do regularly travel, so I think I have the best of both worlds. I go to the office at 6 in the morning and I try and finish at 3pm, then I relax, I go for my swim, and I have my supper, then I do a bit of work and then I go to sleep. I know a few of the homeowners on Eden Island, and I socialize with friends and coworkers. Eden Island life is very convenient, I think it is safe, and it is very pleasant. It is a nice environment, the beaches, swimming pools and tennis courts, everything is on hand, you don’t really need to go off the island; you’ve got shopping and medical facilities, dentists, laundry, everything at Eden Plaza. I walk everywhere on the island. Many people use their buggies, but I like to walk, you can see so much more and it is a lovely stroll before work and afterwards before getting home to relax. Eden Island is a very nice community, it is very pleasant if you like the sea, if you have a boat, or if you enjoy swimming. We’ve never had any problems. We enjoy the lifestyle here, and I can just go out my door and step on the beach and be in the sea, or two minutes’ walk to another beach, Anse Bernetier. Although I lived in the Channel Islands and enjoyed the small island life, I would not swim there as it is too cold, and I like swimming in the sea. The sea temperature is good for swimming all year round in Seychelles, the weather is better, but I do regularly travel, so I think I have the best of both worlds.